Isla de Ometepe-We stayed at La Omaja and it had one of our favorite infinity pools we have swum in. This place has gorgeous views and howler monkies joined us for breakfast. Where else in the world can you find an island lake with a volcano at either end? Not long ago horse and carriage was the only form of transport on the island. Don't miss Ojo de Agua - a mineral spring in the jungle. 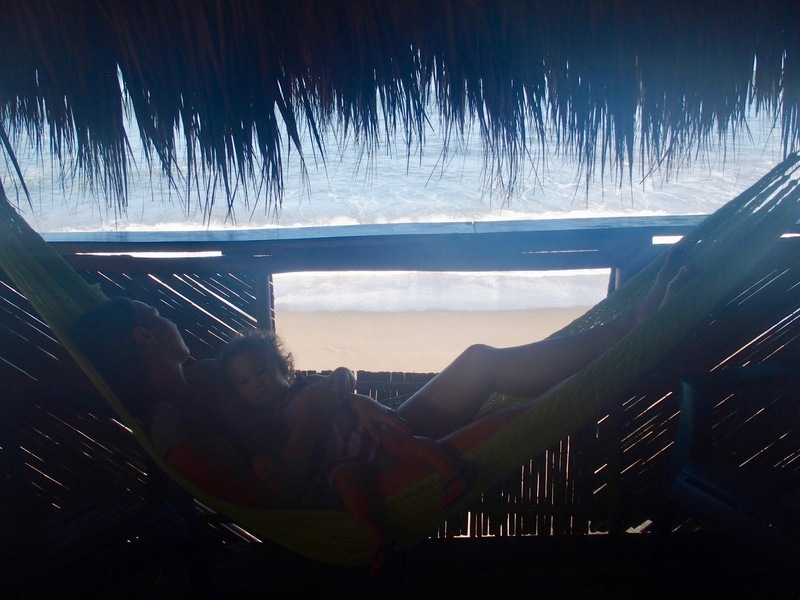 Hammock life-Embracing the slow and relaxed lifestyle of the locals. It was a nice change to the hustle and bustle of the big apple! The colors of Nicaragua-Rows and rows of colorful houses on cobblestone streets. Central America at its best! 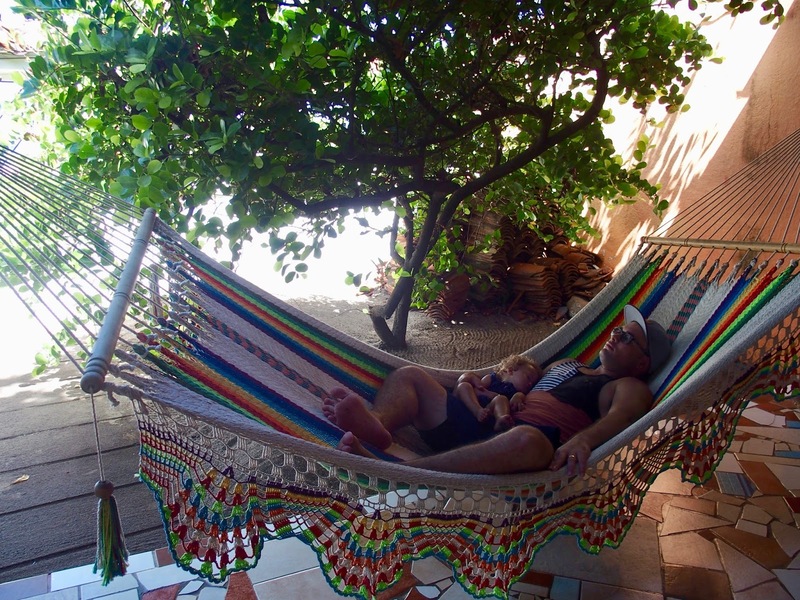 Staying at El Respiro Ecolodge in Granada-We spent a week relaxing in this serene haven. The hosts are amazing and we chose to have dinner cooked for us each night which we never regretted! It came with wine and dessert and was delicious. It was so nice to be able to put Lilah to bed and dine with other guests. The views over Lake Nicaragua and to Mombacho Volcano were unforgettable. Howler monkies were nearby residents. 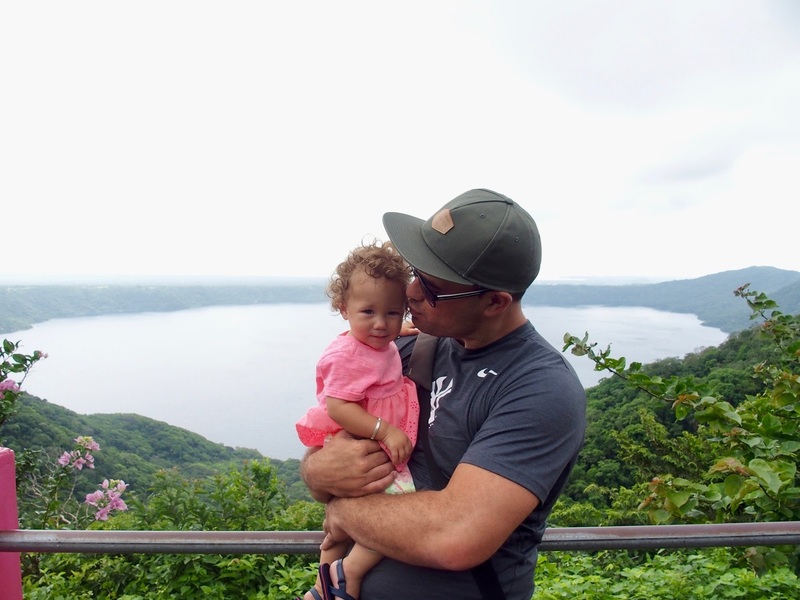 Laguna de Apoyo-one of Nicaragua's most beautiful natural wonders. We spent a day wandering around and soaking in the beauty of this pristine body of water contained inside the crater of the Apoyo volcano. It's beautiful to head down and take a swim, and surrounded by wildlife! San Juan-lively and popular beach destination. So many tourists compared to the other places we visited but it was nice for a few nights, and there were a lot of cool cafes. Famous sunsets were amazing! Markets-We loved the markets! Lilah would run in and out of the little shops. The artwork was beautiful, especially near Masaya Volcano. The architecture and especially churches-Iglesia de la Recoleccion is one our favorite churches we have ever seen! It is in Leon and looks so lavish in amongst some of the other buildings. La Penitas-a beautiful beach and fishing village near Leon. It was refreshing to be by the sea and most of the time there was not another person in sight on the beach! Sua Bar and Grill became our local here and we had many delicious meals. Don't miss out on the iced shakes! The history of Nicaragua and the revolution. Hearing and seeing the history (often celebrated in local music played in the public squares) was an experience from Leon all the way to Ometepe, where we had a guide who was involved in the revolution. You can still feel the energy that it captures, especially in Leon which is much less touristy compared to Granada. Visiting in the early part of the rainy season was fine (late June). The tropical downpours are generally over pretty quickly and some days it wouldn't rain at all. Mosquito repellent is essential. Lather it on! We also found it quite hard to find or it was really expensive so we would take it with us next time. Most accommodation had it but you can never be sure. Buy a hammock from a local market. They are so well made and an absolute bargain. You are never too far from a volcano in Nicaragua. Looking down into one of the most active volcanos, Masaya was a surreal experience. You are only allowed to stay up there for about 10 minutes, that was long enough for us! It can get packed for the night visit so perhaps visit in the day like us if you have a young child (although apparently, you can see the lava better at night). It is a good idea to check on TripAdvisor for places to eat before venturing out. A lot of places are beginning to have English menus but there are still many that do not. It is also a developing country so we were cautious about where we ate. Volcano boarding is near Leon if you fancy it. We didn't venture out with Lilah but it is common with the backpacker crowd. Have some cash ready if you are driving a rental car! We had heard of corrupt police who pull over foreigners. We were pulled over and without being prepared paid the police officer a bit too much for "crossing the merge line too early". He gave our driving license back and we were on our way. The hosts we stayed with told us afterward to keep 200 cordobas in the car and to place it in the envelope they give you. Not something that is nice to think about but then again it's not worth having your license taken and sent to the local police station to pick up (and pay the fine). That's if they still have the license! Try to avoid driving at night if you can. The roads are very good in Nicaragua but the lighting is not great and there can often be people walking along the road or cows walking past. We couldn't avoid it for our entire trip and it was fine, but you do need to be careful. Take a boat ride around the islets formed by the volcano eruption near Granada. It's fun to see all the different houses, and there's even an island where some rescued monkeys live. Be prepared to barter for the best price! Ometepe is good for a couple of nights at least. There is a bit to do on the island. A day trip would probably be a bit rushed. We stayed in Las Penitas 4 nights (nice amount of time), Granada 7 nights (5 nights would have been enough to enjoy the city and surroundings), Ometepe 4 nights (This was nice with Lilah to relax and experience the island), San Juan Del Sur 2 nights (we added a stop here more so for the convenience of getting to the border). Definitely, think about when you are going to cross the border to Costa Rica as we read that it can get very busy. However, we managed to cross the border early and there were not many people at all (there are even guys on biked to help with luggage during the 20-25 minute walk between borders). 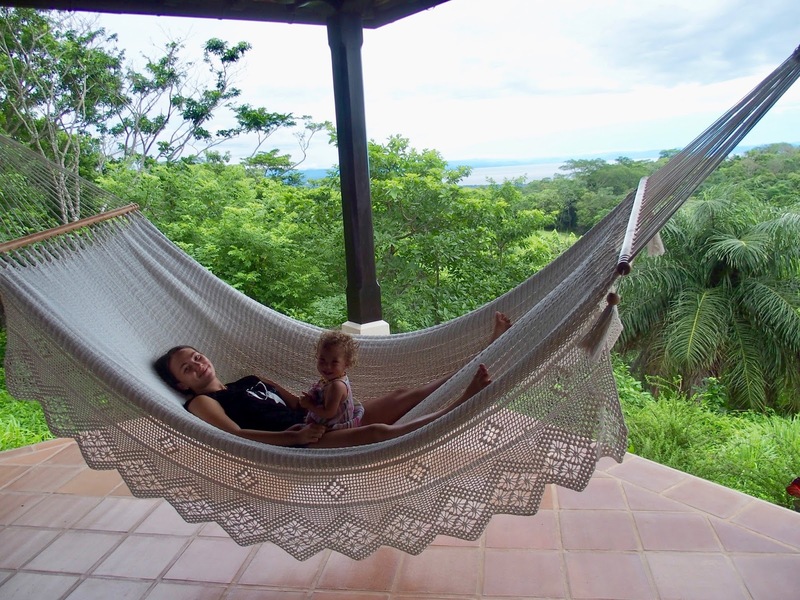 If you are staying on Ometepe, the hotels are usually very helpful with organizing transport. La Omaja organized a private transfer for us to the ferry terminal, and from the ferry to the hotel once we arrived on the island. Lilah fell in love with banana chips here. They were really cheap at the local supermarket and a great snack for her. We were careful with the food that we gave to her and brought quite a few snacks with us. We had a lot of swim diapers with us which was a good thing as they were really expensive! You could get most things from the supermarket. We hired a car for the majority of our trip which meant we could move at Lilah's pace. It was also good to time the driving around Lilah's naps so when she woke up she was ready to explore. When we stayed at El Respiro the hosts has a son the same age as Lilah. It was so nice to have toys and a friend to play and communicate with. It did get quite hot, in Leon especially. 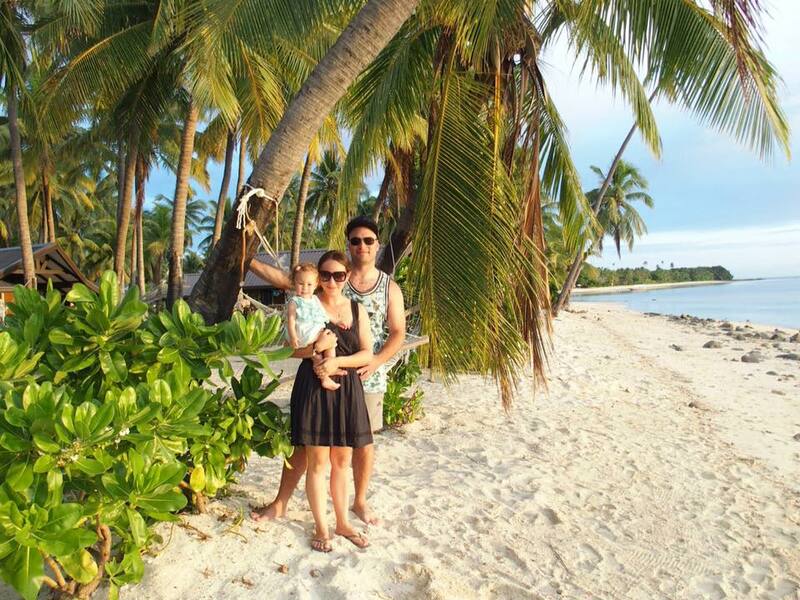 Staying near the beach and keeping out of the sun in midday allowed us to have a comfortable stay with Lilah. We made sure we had good health insurance just in case anything were to happen. There were quite a few stray dogs that Lilah really wanted to play with and we didn't want her to. We had to be careful when she was exploring in the streets.